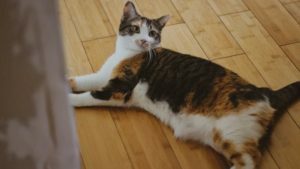 What Can I Wash My Cat/Kitten With? Is Dish Soap/Detergent Safe? What Can I Use if I don't have Cat Shampoo? Similar to a post I wrote before about whether you can use dog shampoo on cats, let’s cover the non-pet specific soaps you can use on your kitty! The main precaution before using any product (or anything in general with pets) is making sure that the products are made out of the most basic ingredients. This will help ensure that the product does not contain chemicals that are lethal to your pets. Although you will be trying to find products that have the most basic ingredients/shortest ingredient list, it is also very important to understand that some basic ingredients are still lethal or problematic for your pets. For example, I use vinegar to clean a lot of my fish stuff. I also use vinegar to clean household objects that Beau chews on or has the potential to lick, but vinegar is much too acidic to clean your cat with. That being said, some shampoos/soaps, specifically some of the ones made for dogs are actually toxic to cats because of ingredients like peppermint, lavender, tea tree, jojoba, and glycerin. Remember, like humans, cats will absorb these products through their skin, and even after being rinsed they may still have some of the products on their coat. 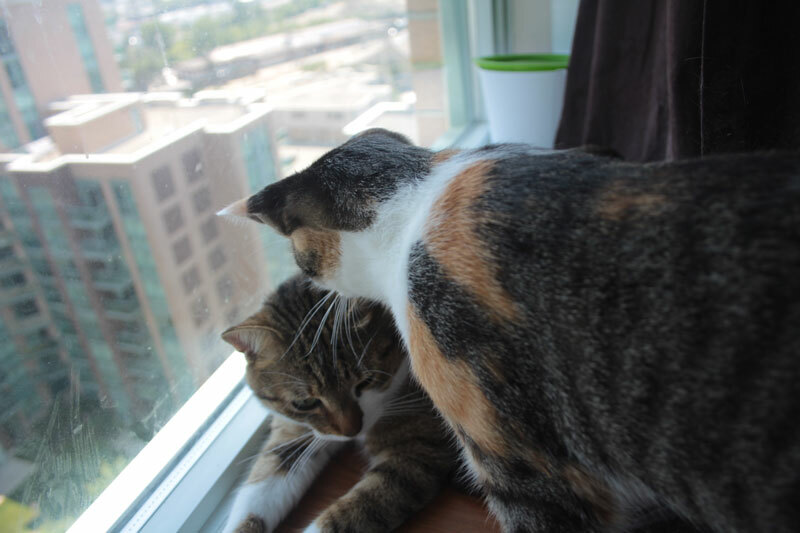 If left on your cat’s skin or fur, cats may lick some of the product and may become ill. You want to be very, very safe when using non-pet specific products! The first question people usually ask is, can I use human shampoo on my little ones? Actually, sometimes yes! You’re looking for human shampoos that are made for babies though. Make sure to read the ingredients thoroughly though, and if there are any ingredients that you don’t recognize or are on the list we’ve provided above, stay away from the product or do some extra research! The main trouble with baby shampoo is the fact that they use dyes, fragrances and other detrimental ingredients to cats. Some brands will label their products as “natural” even when they are not actually natural. 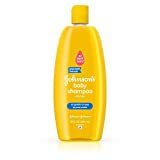 At the moment the most popular baby shampoo that is used on cats is Johnson’s Baby Tear Free Shampoo, however, as always I recommend using cat branded shampoos since someone has already done the job of making sure it’s not toxic for your kitty. I understand that we’re sometimes in a pinch and don’t have time to buy a product, or your local pet store is out of stock, so you may want to keep an extra bottle of cat shampoo on hand. Sometimes we think that the word natural means non-toxic, but this isn’t 100% true. Some natural ingredients can actually harm your cat, so make sure you’re looking for soaps such as pure castile soap. Pure Castile Soap bars are made from olive oil bases and are both chemical free and dye free. When using these soaps make sure to rinse your cat very well until the water runs clear. 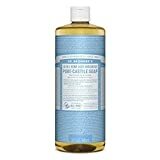 This is a precaution since Pure Castile Soaps have a number of oils and their residue may be tart or unsettling for your cat. You’ll want to make sure that your cat has been given a good rinse before they start trying to lick themselves later! I know, I know, I covered this in the past article, but it’s still important to bring up. It is possible to find a dish detergent that is gentle and safe enough for you to use on your cat. 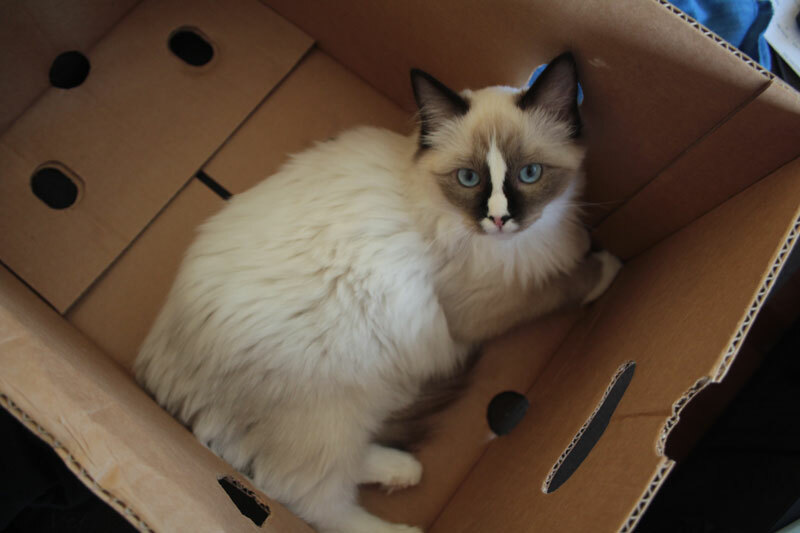 One of the most popular dish detergents to use to clean cats is Dawn. Now, I will say again that I would never use Dawn frequently as it was developed to take out oils from the surfaces it cleans. This being the case, it will 100% dry out your cat’s skin when used long term. That being said, Dawn is very effective for the rare occasions when your cat has gotten too dirty for themselves to clean or has fleas. I must admit, I can’t confirm how effective Dawn is on fleas since I haven’t had first-hand experiences with them. 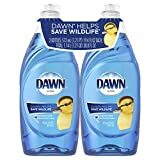 I will put it out there that I have done extensive research on how to prevent or kill fleas and Dawn dish soap seems to be in the top 5 ways. Please remember if you are going to use Dawn you only use the original one as it is the gentlest and doesn’t have any ingredients your kitty can’t handle. Other variants may cause harmful side effects such as allergies. 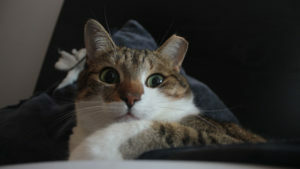 You are looking for main allergens when choosing whether or not to bathe your cat in a product. 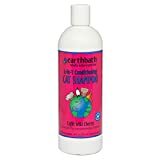 At the end of the day, these are all great substitutes for infrequent bathtimes, but if you’re looking for long term use I would highly recommend using cat specific products. Diabetic 12 year old Male, for has become dirty looking and almost matted looking. Have brushed him and still looks matted. His undercoat is what looks matted and is causing dry skin. Next step is going to be an actual bath to clean him. Wondering if he is not cleaning like he used to do to the diabetes. Was just diagnosed last spring-2018. Hey Andrea. Diabetes doesn’t usually have anything to do with the cleanliness of your cat unless they are overweight. Overweight cats will continue to clean themselves but may find it difficult to reach certain areas of their bodies. 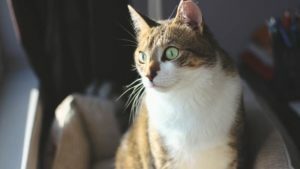 The main condition that would impact your cat’s cleanliness would be arthritis, which sometimes causes cats to not want to clean themselves due to the pain they are in. Let me know if that answers your question or if you have another one! I haven’t notice him having major pain issues. He does have some neuropathy caused from the diabetes, in his back legs. My hubby rinsed him with just water the other day in the tub, which did not help the fur issue. It did cause him to groom himself in the process. 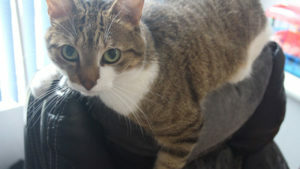 Before he was diagnosed with diabetes, he did have a problem with thinning fur. Have you taken him to the vet to see if there were any other underlying issues? Also, what food are you feeding him? A lot of times diet has to do with skin & fur problems (especially if your cat has allergies to an ingredient). When we got Kalista she had a fairly dry coat (not overly dry to the point where her skin was flaking, but she wasn’t the softest to pet.) We changed her food to a higher quality food that including more omega-3 & 6 fatty acids that really helped smooth out her coat. He used to be super soft……then started with the thinning fur…..weight loss…..peeing around the house…..took him to the vet, found out he was diabetic. 9 months later, and also a food change in that time frame to a grain-free diet, and his coat changed to a matted look and “dirty” feel. In my experience, grain isn’t usually the allergen that causes issues with hair. We actually feed a high-quality food with grain in it to our kitty Kalista. I do understand the mentality that cats don’t need grain in their diet, but I do feel like “grain-free food” has a bigger hype for being “allergen free” than it deserves. A lot of folks also believe that grain-free means fewer carbs, however, there are a number of grain-free diets that actually have more carbs. (Carbs being something you want to avoid when your cat is diabetic.) If this is a food your vet has recommended, then I wouldn’t switch it on your own, however, if it’s a food you have chosen based on the appropriate fat & protein levels, you may want to look at a different one. Do you mind telling me the brand and protein he’s eating? Good information. Anxious pet parents sometimes forget that “skin breathing” thing… At our shelter, we did use the Original Dawn for a first bath (both dogs and cats/kittens) and a dose of Adams Spray to de-flea, followed by combing, picking off the fleas, and – if necessary – later on a little more Spray to kill the eggs. Checked ears for mites, too. Finally, we had clean, healthy and happy kitties ready for their forever-homes (after they were neutered/spayed). I haven’t actually heard of Adams Spray before, but I’ll have to check it out! Luckily we’ve never had fleas before, but I’m sure it’s such a worry in shelters. Hahahaha! I’m so glad none of my kitties have gotten fleas. I’m so nervous they will one day (especially if I take them out for walks on harnesses) I’ll definitely have to look up how to prevent them and what time of day they’re most viscous!! Haha! I’m glad too! It’s such a chore if you have to do it! We don’t get baths but if we need spot washing, the mom uses a very mild soap. I’ll just keep hoping that I won’t have to wash any of my cats…it’s worked for this long…hehehehe! Hahaha! Yeah, we try to avoid it as much as possible, but Beau has gotten himself in a few sticky situations we’ve had to clean.